Gangster Squad is currently filling movie theaters across the nation with the rat-tat-tat sound of Tommy guns firing off endless rounds. The film stars Sean Penn, Ryan Gosling and Emma Stone, as well as Josh Brolin, who plays an Irish American cop named John O’Mara. But as several recent crime cases indicate, Irish Americans are still very much on the wrong side of the law as well. The case against Irish Godfather Whitey Bulger, for example, drags on. The senior citizen mobster, this week, argued that he could not get a fair trial with the current judge presiding over the case. Bulger -- who himself is expected to be the subject of a forthcoming Hollywood flick directed by newly minted Golden Globe winner Ben Affleck -- is arguing that the judge’s prior experience prosecuting Boston criminals creates the appearance of a conflict. God knows how you could find anyone in Boston law enforcement who did not, at one point, have some sort of involvement in the massive, decades-long hunt to nab Bulger. One gets the feeling that Bulger will be sentenced to a hole six-feet in the ground well before he is ever officially sentenced to a prison cell. Meanwhile, late last year, federal law enforcement officials announced the arrest of an Irish American member of the Westies street gang, accused of extortion in a case that also involved a shootout. New Jersey resident Daniel Hanley -- identified by the feds as a member of the long-standing West Side Irish gang the Westies -- has been accused of teaming up with members of the Gambino crime family and an offshoot of the Hell’s Angel motorcycle gang to run a violent loan sharking operation. “With alleged involvement of the Gambinos, Westies and Hell’s Angels, this case hit the trifecta of loan sharking and extortion,” New York City Police Commissioner Ray Kelly commented. But by the far the most intriguing Irish American criminal in the news these days is Anthony “Tony O” O’Donnell. O’Donnell has been identified as a long-time associate of the Gambino crime family and has faced a slew of charges related to various shakedowns in the construction industry. Back in 2000, O’Donnell, as well as Finbar O’Neill and other Irish Americans, were named in an indictment by Manhattan District Attorney Robert Morgenthau following a three year investigation. Meanwhile, at a January 2011 press conference, Justice Department officials outlined O’Donnell’s long career in the New York-New Jersey underworld. O’Donnell “served as the right hand man to Edward Garafola, a Gambino soldier who was a member of the Gambino family’s ‘construction panel,’” a Justice Department report noted, before outlining a host of complex shakedown schemes the Gambino expert “panel” oversaw. In his latest round of legal woes, O’Donnell has been accused of shaking down a Midtown Manhattan real estate investment firm. In an effort to polish his image before sentencing, O’Donnell submitted chummy letters from political heavyweights including New York Senator Chuck Schumer, former president Bill Clinton and even current one Barack Obama. Trouble is, the correspondence between these bold-faced politicos and O’Donnell was hardly personal. Many of the documents were form letters sent out in mass mailings to constituents, supporters, donors or others. 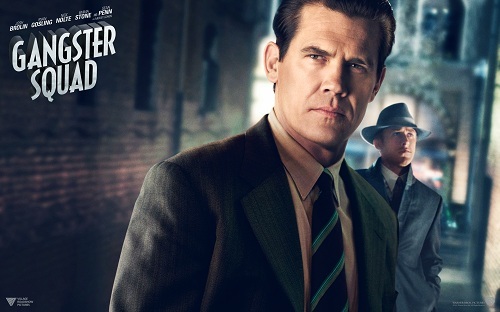 Either way, O’Donnell’s shakedown shenanigans, Whitey Bulger’s stall tactics and the return of the old-school Westies goes to show that America’s real-life “Gangster Squad” still had a decidedly green tint -- for better or worse.